Toronto is not always the first place that pops up in mind when looking for places to visit when you are in Ontario. But, did you know that the city of Toronto is one of the country’s major tourist destinations that attract visitors from different corners of the world? 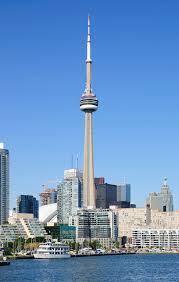 If you are planning to visit Canada anytime soon, here are the top Toronto landmarks that are worthy to visit. With its towering height of 553.33 meters, the CN Tower used to be the holder of the title of being the world’s tallest building for many years before Dubai’s Burj Khalifa took over its spot. This serves as a hub of entertainment, learning, and observation to those visiting this amazing structure which was also nominated as among the Seven Wonders of the World. CN Tower has an outdoor observation deck, a glass floor, a Simulator Theatre, and a revolving restaurant, making it a must-see during your visit to Toronto. Originally called Skydome, the Rogers Centre serves as the home of Toronto Blue Jays. This is world renowned for being the first ever stadium with a completely retractable roof which can close three moving sections to shelter the players and fans from the elements. If you are a baseball fan, go to Gate 9 to find affordable at the door tickets for games. The leading destination for shoppers in Toronto, Eatons Centre is a multi-leveled and glass-roofed galleria with over 320 shops, theaters, hotels, and restaurants. It is known for its highest retail sales for every square foot in the entirety of North America. This is the first ever major shopping center established in North America, taking inspiration from Milan’s Galeria. Whatever you are looking for, you will surely find it in Eatons Centre. Found in the midst of old Toronto, the St. Lawrence Market is the historical market which serves as the home to the first jailhouse and city hall in Toronto from 1845 to 1899. These days, the market houses over 50 gourmet food vendors and over a dozen lunch counters. This is also dubbed as among the top 25 best food markets in the world. Just 10 minutes ferry ride away from the downtown area of Toronto, Toronto Islands are a popular refuge for most migrating birds. Centre Island is the most popular of the islands, offering exhilarating panoramic views of Toronto Skyline and filled with activities like miles of picnic tables, parkland, boat and bike rentals, barbeques, an amusement park, and a children’s farm. Aside from the island itself, the ride in the ferry boat to and from the island is also a highlight of the place. In its entire 10 acres of stunning beauty, Toronto Harbour Front Centre is found at the waterfront. Here, you can find a large boardwalk, ice skating rink, a great view of the lake and island airport, and lots of ships on display which includes the 1812 War Privateer of North Atlantic. Share the post "Toronto Landmarks"